This is a Keshi Pearl necklace made of super-sized first-class genuine Keshi pearls of the highest quality, in a size up to 30 mm lengthwise and 26 mm transverse. The pearls are grown without a core, therefore slightly on the neck and authentic jagged in shape, never can there be an abrasion, even in 20 years they will be as beautiful as today. 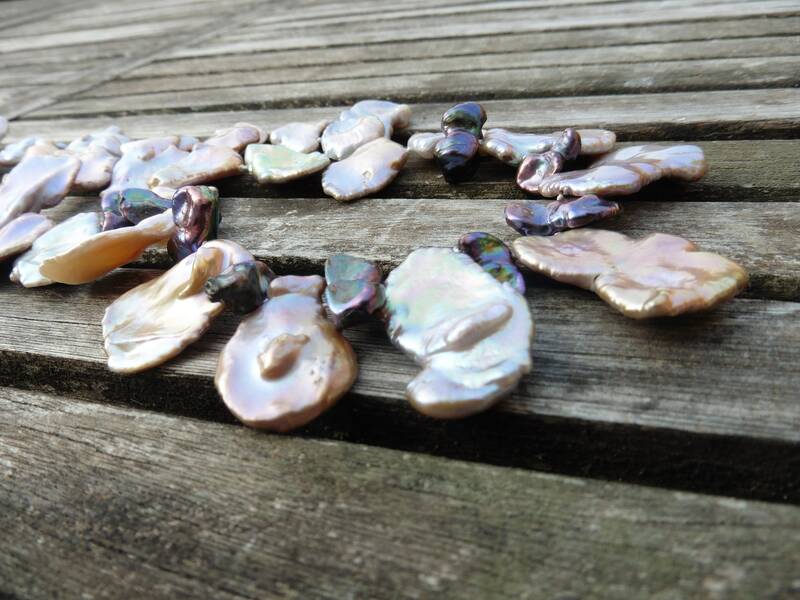 An exceptionally decorative necklace of real colored pearls in a delicate salmon-pink-purple color gradation, very shiny. The play of the game depends on the incidence of light. These beads were in their shell for years to grow to this size, at least 5-6 years. A rose-gold-plated magnetic clasp is very easy to close and yet it is very safe. 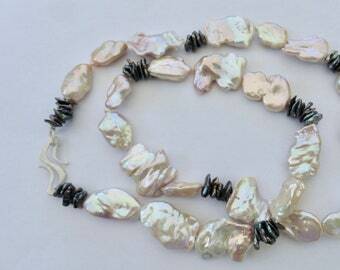 Length: Pearl necklace and clasp together 45 cm.